He thought he has HIV. He felt like he's going to have fever always. He also has muscle pain. He had his HIV test. 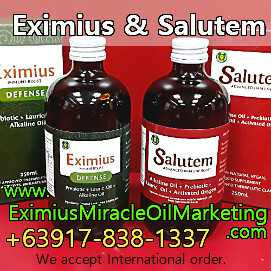 Without knowing the result yet, he took Eximius Oil while preparing himself accepting whatever the result of the test. Here's the good news. He doesn't have any HIV. 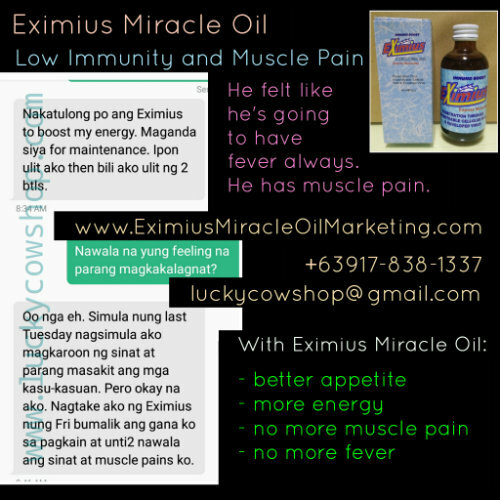 And here's what he said about Eximius Miracle Oil, roughly translated into English. "Eximius helps boost my energy. This is good for maintenance. I will save money to buy again, for 2 bottles." "Yes. Last Tuesday I felt like having a fever and muscle pain. But now I am Okay. I took Eximius and on Friday, I have better appetite and the fever and muscle pain is gone, slowly." Thank you for trusting Eximius sir. Thanks for the meet-up. You actually meet up with me even if there's a possibility that you have HIV. Thanks for the trust. Good thing your problem is just about immunity, and not HIV.